Did you know today May 1st is Free Comic Book Day? I had no idea this was an annual event, but thanks to Facebook and Twitter I am now in the “know”. I checked out the official FCBD site http://www.freecomicbookday.com/index.asp, wondering if this was something my son would be interested in and what kind of free comics one can get on such a day, when it hit me; I used to read comic books, in fact when I was young I read them a lot before I got into Nancy Drew and the gang. 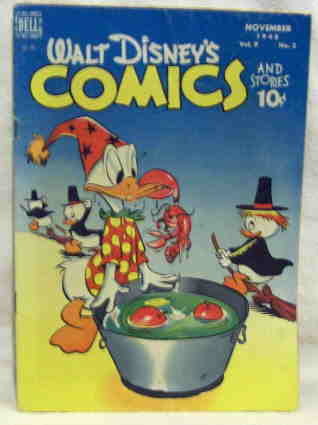 For a while comics such as Archie, Disney, (remember Hughie, Dewie and Louie? ), and ones involving long forgotten characters dominated my reading life. They filled in the gap between children’s picture books and the small preteen genre of the time. Living on a rural farm I did not have access to a library so the only reading material available were the cheap comic books found at the local grocery store my grandfather and I visited on a bi-weekly basis. Comics were important to me when I was too old for picture books yet too young for the older teen books that were out in the early 1970s. I enjoyed the idea of the long involved stories that comics could offer a young reader. It did not matter that these stories involved Disney characters or Riverdale teens. Comics gave me a sense of being older than those around me still reading children’s picture books. Until I was old enough to grasp the concept of novels, comics were my personal treasures. I would read them over and over again, sometimes until they fell apart. As I matured comics became less important and seemed silly to me. I put them down when I found Nancy Drew; I think I was in the fourth grade when Nancy’s world was opened up to me. Over time comics became something young children or boys who liked super heroes read. I had nothing to do with them. My son never really got into them; oh he had a favorite or two, but these were based on video game characters he liked. As he grew, his comic book reading dwindled and was replaced by graphic novels; also based on video game and Animie characters. Honestly, I would not even be thinking of my years spent reading comics had it not been for the announcement of Free Comic Book Day. Not sure if we will head to our local comic book store today, but it seems like a good idea. It would be a fun trip back in time when comics dominated my reading world. So dear Readers, did you ever read comics? If so which ones and will you pick up one today just for the fun of it? Oh yes, I loved comics! I read them from 2nd grade up to maybe 8th grade or so. I read them along with my little house, mrs. Pigglewiggle,and henry huggins books from 2nd grade on. I read all the ones you mentioned plus Little Lulu and other cartoons; religious ones from my penecostal grandmother; tales from the crypt (my choice); western ones (kid colt ect) that my dad bought, superman, hulk, spiderman– I loved them all. but the best were the Avengers– my brother and I had a subscription to that one. I don't really know why I stopped reading them– I don't think they are silly. I read an urban faerie graphic novel a couple of yrs ago and thought WOW! It was really good– but I haven't read any since– but I want too. It was a very rich multi-sensory experience reading the graphic novel– I was quite amazed.My brothers collection is in an outbuilding– I should go read a few today!